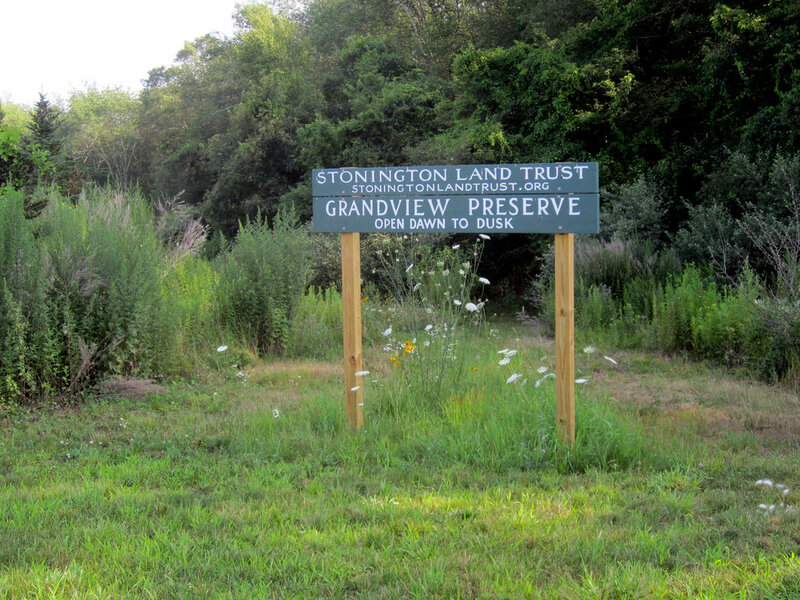 Grandview Preserve is a 27.93 acre open space parcel, which was created as part of the Grandview Farm Conservation subdivision. 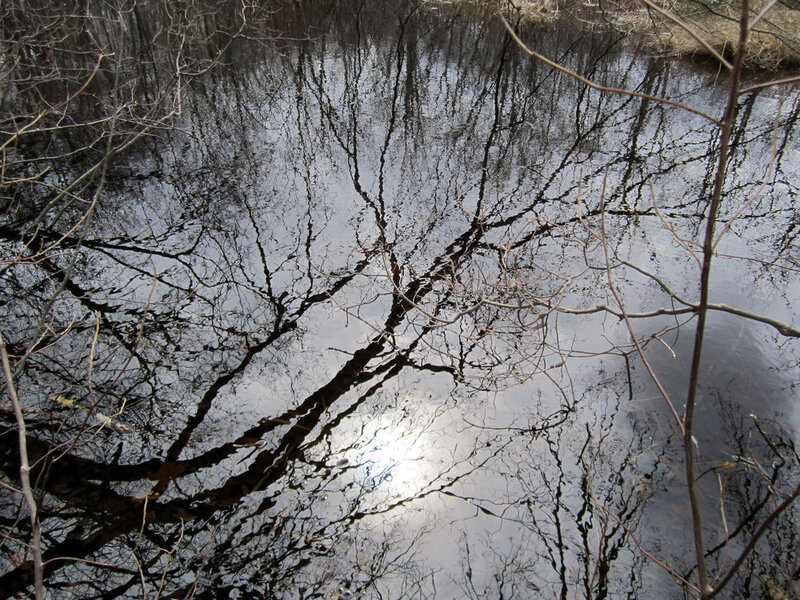 The land was given to SLT by Pequot Development Associates on September 29, 2010. The property was formerly operated as Grandview Tree Farm by the Jeffrey family. They offered cut-your-own Colorado Spruce, Fraser Fir, White Pine and White Spruce Christmas trees. 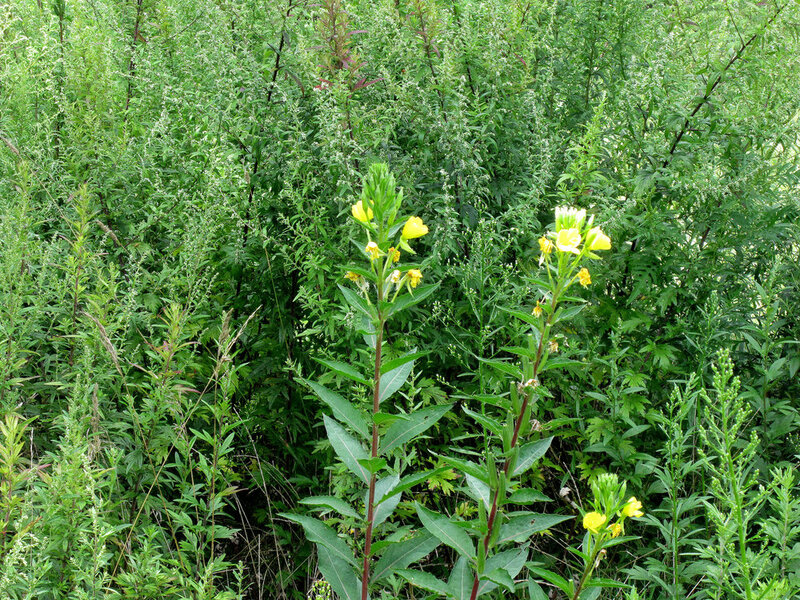 Some of the trees planted by the Jeffreys’ remain on approximately 3.5 acres of meadow, at the northeast edge of the parcel. The remaining acreage is mostly mature forest. Stone walls are present in various locations, including one along the western edge of the property and another which separates the meadow from the forestland to the west. The southwest corner is mostly wooded wetland. 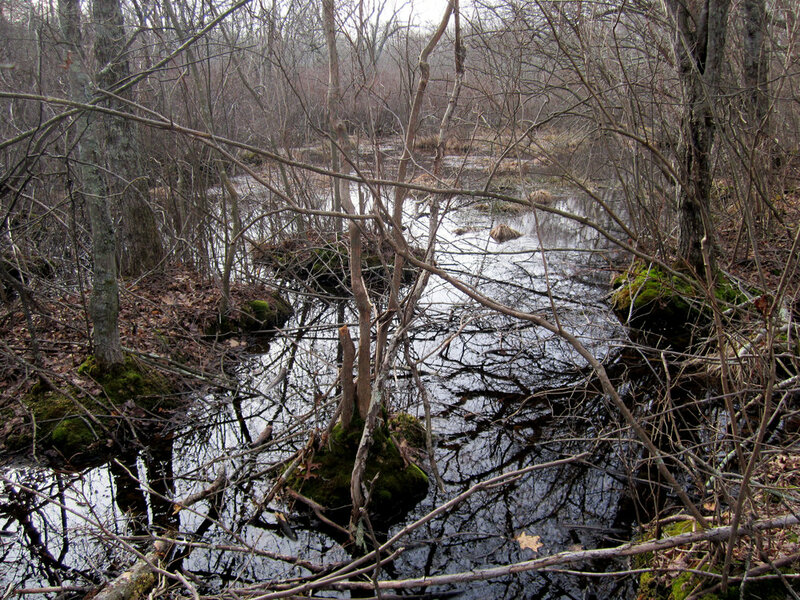 A small stream running through the western woodland feeds a pond located near the southern boundary. The main trail starts at the end of Grandview Farm Drive, traverses the meadow, runs south to the pond then branches out to two trails. One branch proceeds to the southeast corner of the preserve and the other to end of Cedar Grove Lane. Public access points are at the end of Grandview Farm Drive and at the end of Cedar Grove Lane. The preserve is adjacent to a 22.4 acre open space set-aside of the High Ridge subdivision, as well as, an approximately 25 acre undeveloped portion of Elm Ridge Golf Course.